Our Chairman and Becta board member John Newbigin opened the session yesterday on “educational learning from the media Industries” as part of the Learning and Technology World Forum 2010. The Forum is part of the run up to the BETT conference that is on from Wed 13th Jan to Saturday 16th Jan. Read more here. Culture24’s Head of Programmes Anra Kennedy did a great presentation challenging the education sector to make use of the fabulous rich online content from museums that it already out there. 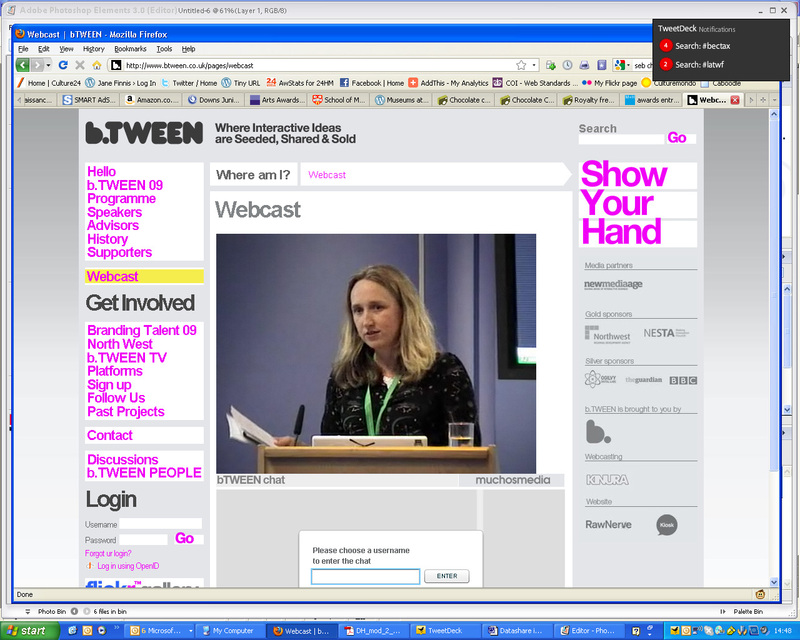 I watched it all on the Webcast provided by bTween (who were involved in curating the session). and of course the new Culture24 Teachers section. You can read an excellent roundup of the session on Joanne Jacobs blog here.